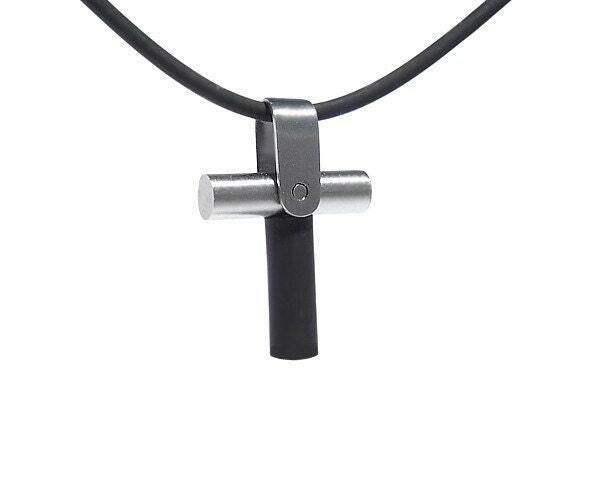 Men's Stainless Steel Cross Necklace, Modern Trendy Harley Biker look, with 2mm Black Rubber necklace. 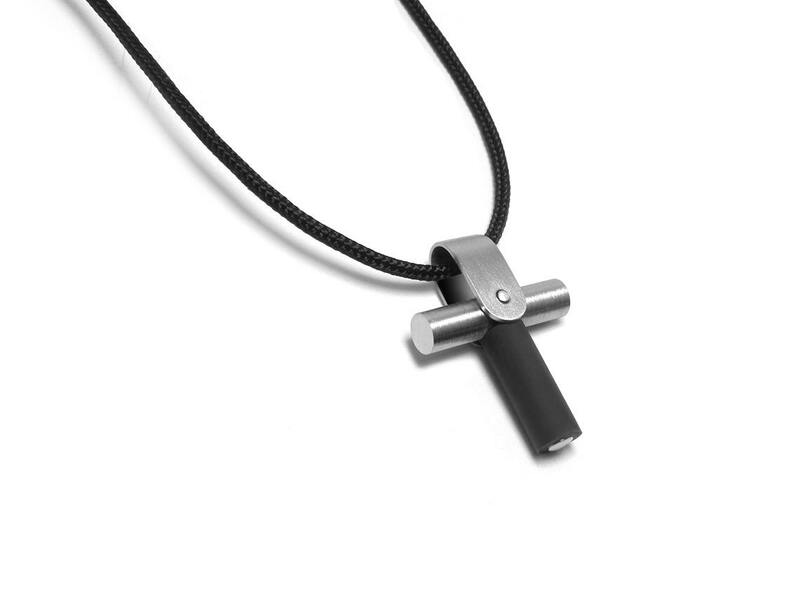 Brushed finish, The bottom part of the cross is made of black rubber with steel core. Rubber Length available from: 14" to 30"